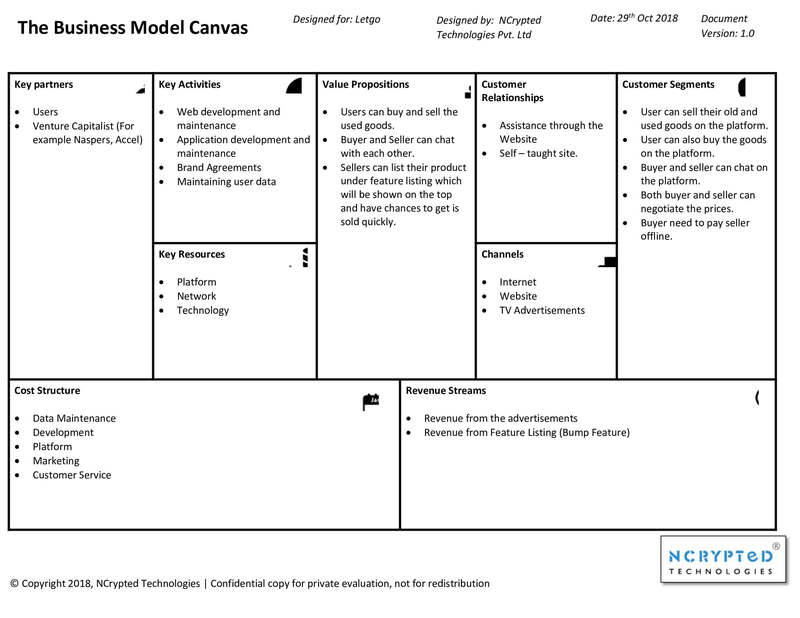 You are at: Blog » Business Models » Interpretation: How does Letgo Make Money? 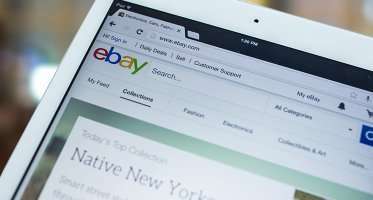 For years, eBay was the only platform to buy and sell used goods. For used goods worth billions, there was only one marketplace for years. In this day & age where there are dozens of apps for everything, there are still just a few competitors for eBay in USA – Craiglist, OfferUp & Letgo. The peer to peer marketing is at an all-time high. The second-hand market has boomed after the mobile internet evolution. Users of Letgo claim that the best feature about the app is its geographical search. They focus on giving you options in your own area or nearby instead of flooding your search results with irrelevant results. To add to the ease, the app allows you to sync your Google or Facebook account so you can skip the headache of signing up & verifying your account. Based in New York, with over 20 million active monthly users, the Letgo has made transactions worth $23 billion in the first half of 2017, no wonder it created a curiosity how does Letgo make money? They claim that items worth close to $381 billion are placed useless in American homes. Letgo was co-founded by former CEO of OLX Alec Oxenford, Jordi Castello & Enrique Linares. Having worked on a similar concept at OLX, Oxenford just knew what was needed to make the experience of buying and selling used goods exciting. Now, let’s see how does Letgo work & make money. Chat: Buyers and sellers can interact with the chat feature. This chat could be about anything from price negotiations to exchanging contact details of each other. Image recognition: Letgo has integrated artificial intelligence to optimize your buying and selling experience. It uses image recognition technology to suggest you categories in which your item can be put once you click and upload its picture. Geographic Location: Letgo uses your location to get you best possible results. This filters a lot of irrelevant spam that you do not wish to see. The results shown are within 50 miles of your location to encourage better deals. Review: Once you purchase something from someone, you can leave a comment or you can rate your overall experience. This will show on the seller’s profile. This makes it very easy for new buyers to recognize genuinely good sellers by their ratings and feedback comments. Inspired by the idea of Oxenford’s former venture OLX, the way Letgo make money depends on the adaptation of the same concepts as OLX. Letgo gives a platform to buyers and sellers to buy and sell their used products in 35 countries. A general wondering is that how does Letgo make money if they don’t take any commissions from the buyers or sellers for their listed products? Letgo doesn’t even force users to make transactions through their app or website. Users can contact each other and meet in person to crack the deal. If none of the transaction amounts of the product goes to Letgo, then how does it run and how does it become worth a billion dollars? A conventional classifieds field would charge any user to post an advert, but not the modern day app based on a strong system like Letgo business model. While Craiglist charges its users to post an ad, it’s completely free to do the same on Letgo. The whole app is based on adverts by users so putting more ads would only complicate the interface. So the only way Letgo make money is to generate revenue by offering premium memberships, as Letgo would like to call, the bump feature. The bump feature is similar to sponsored ads on other apps. For a price of $1.99 per day, your item will be listed right at the top above the other items in the search results. However, Letgo business model makes it very clear that they want only relevant search results. So even if you enable the bump feature, do not expect your item to be all over every search results. This is probably the reason why the price for promoted results is kept low and that too on daily basis. While most apps prefer sponsored ads as their main source of revenue, it’s a no-brainer that how does Letgo make money also goes down that road. But how would you put ads to a platform that is built on screens full of ads? The answer is a bump. The bump feature differentiates any normal and from the sponsored ad. It is easily recognizable so you know that what you’re seeing most frequently at the top of your search results is not a spam and it is a sponsored ad. The good thing about bump is that it doesn’t blatantly put the sponsored ad everywhere. Instead, it still holds down the relevance strongly. The ad will only show up if it is within the predefined radius of the buyer and only if it is exactly the same product as the buyer has searched. This enforces a lot of trust among buyers and while users on other apps are a bit sceptical to approach the sponsored content, users on Letgo trust their sponsored ads and that trust factor results in more revenue. Oxenford claims that while the company is looking to explore other ideas such as value added services, their sole aim remains to make Letgo the best place to buy and sell products. Letgo business model which is highly inspired by the simplicity of startups like Airbnb & Uber, Oxenford believes that the key is to empower users. Everything else will fall in its place if that is your drive. To serve that purpose, Letgo tries to make listing a very easy & a quick process. Putting an ad should not be complicated and that’s why the image recognition helps the cause big time. All users need to do is to put up a picture and the artificial intelligence recognizes what the product is & puts it under the most relevant category to attract maximum genuine buyers. At the moment, Letgo remains one of the very few apps that use AI to help serve the users. The chat feature is also a very welcome gesture from Letgo. This makes the app very transparent and comfortable for users. Subsequently, the app has seen over 3 billion messages sent so far with an average of 9 million messages a day. This goes to show how popular and convenient the chat feature has been for users. Letgo has managed to raise $375 million so far from various investors over a series of investments. They initially raised $100 million around the same time as they merged with Spanish rivals Wallop. They further raised $175 million in early 2017. Main investors in the Letgo include 14W, Accel, Eight Roads Ventures, FJ Labs, Insight Venture Partners, Mangrove, Naspers, NEA, NextView and Northzone. With investments and mergers like this, they surely raised some questions on Craiglist & Ebay. Last year, they estimated user transactions over $23 billion in the first half of 2017. With over 45 million downloads and 20 million active monthly users, this target for how does Letgo make money didn’t seem over-ambitious at all. The biggest challenge for the Letgo business model at the moment is Facebook’s introduction to Marketplace, a concept similar to OLX, eBay & Letgo. There is no doubt about the fact that Facebook has the most number of active users compared to all other apps. The social networking giant is looking forward to introducing a new feature where people can buy and sell products via socializing. It is safe to say that Letgo has beaten Craiglist in terms of getting a rise in the number of users. The conventional classifieds platform hasn’t evolved with time and technology. The user interface of the Craiglist website is as old as 1995 and they still haven’t launched an app yet. While you can sell and buy stuff on the go from your mobile with apps like OfferUp & Letgo, Craiglist sounds a bit old school. The fact that Facebook has features like groups and communities makes the future road ever so difficult for how does Letgo make money. & it’s needless to say that they also don’t need to worry about their finances. It was simplicity & innovation that won the battle for Letgo against contemporaries & with challenges like these, the same can help them fight against the mighty. What is your opinion regarding the article How does Letgo Work? And How does Letgo Make Money? Tell us in the comment section below. 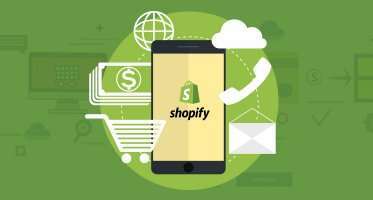 Here are some informative eCommerce business articles crafted by NCrypted Websites, it’d help further to understand various business models from the eCommerce segment. ← A Step-by-Step Guide: How does Postmates Work?